Linda Thomas, 57, of Peoria passed away on Monday, October 10, 2016. She was born March 11, 1959 to the late Willie Thomas and Janet (Taggert) McShan. Linda was very family oriented. One would say she was the glue that held the family together; Shopping was another hobby of hers, with Walmart being on the top as a favorite. Linda was a member of the Eastern Star and a Union Representative for Caterpillar. She leaves to cherish her precious memories: three sons; Billy Thomas of Ms. Ronald White and Donald (Mylita) Thomas both of Peoria, IL three daughters; Hattie (Walter) Harris of Texas, Diane Thomas of Texas and Alice Thomas and Jane Brown also following two adoptive daughters Catherine Thomas and Tonah Byrd Thomas all of Peoria, IL., two brother; Charles (Doris) Griffin of Alabama, and John (Harriet) Simon of New York, one sister; Mildred (Sylvester) Brown 20 grandchildren, and along with a host of other family members and friends whom will miss her dearly. In addition to her parents she was preceded in death by, three sons, one daughter two brothers, two sisters and eight grandchildren. Homegoing celebration will be held at 11:00 a.m. on Saturday, October 22, 2016 at T.W. Parks Colonial Chapel with visitation commencing one hour prior at 10:00a.m Bishop Charles Davis will officiate. Interment will be in Lutheran cemetery.Linda's family has entrusted T.W. Parks Colonial Chapel with arrangements. Healgrief has a memorial to share with you. 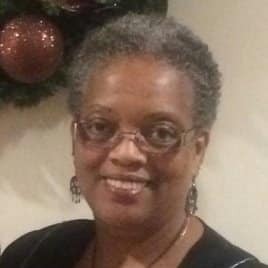 https://healgrief.org/linda-thomas/ We invite you to express condolences, share special memories and photos and light virtual candles to honor and celebrate the life of our loved one. We also invite you to share this with others who may want to be notified as well. You may do so by sharing the link or by clicking the “Share this Memorial” button from within the memorial itself.